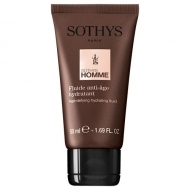 Sothys Homme Baume Apaisant Après-Rasage from Sothys is a balm for an immediate feeling of freshness and well-being. Leaves skin smoothed and moisturized after the burning caused by the razor blade. Proven efficacy. 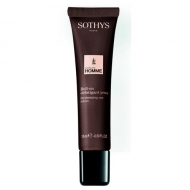 Active ingredients: Volcanic Rock, a detoxifying booster (liquid extract of volcanic rock); Macadamia oil, to soften weakened skin.